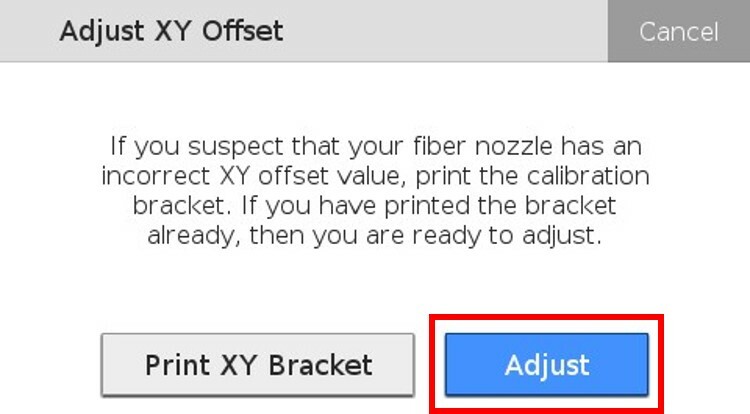 Most users will never need to adjust their XY Offset settings. 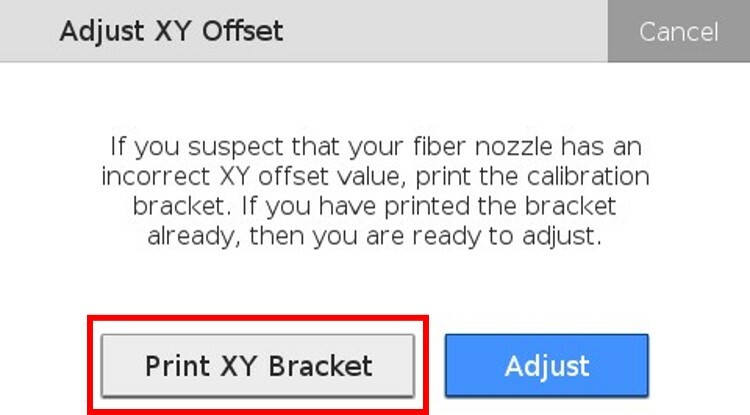 In rare cases the fiber and plastic nozzles on the print head may be misaligned, the XY Offset utility will print a test part that can be used to identify offset issues. 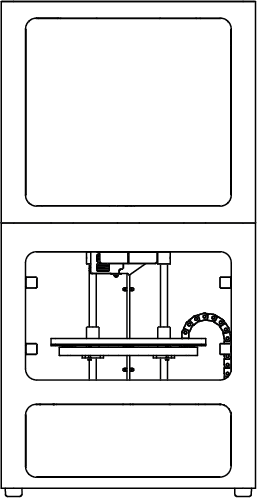 Apply glue to your print bed as shown in the picture below and place your print bed into your printer. 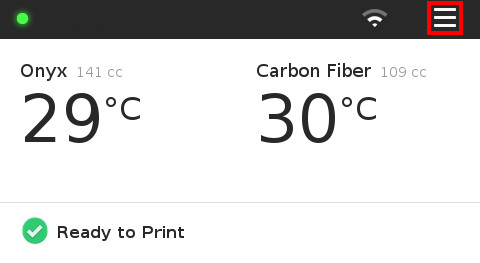 Press the menu button in the upper right corner of your printer's LCD touch screen. 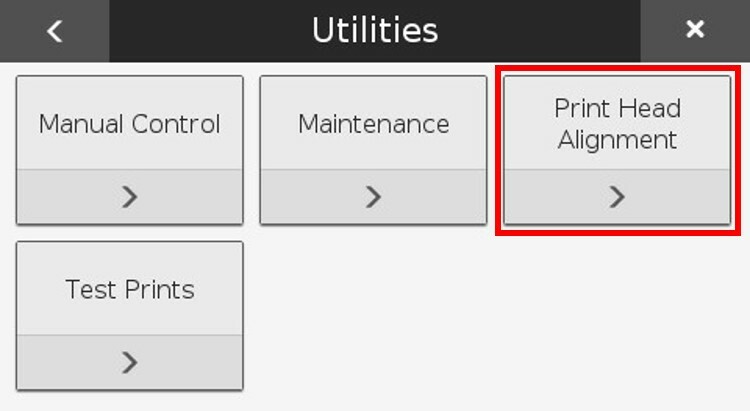 Select the "Utilities" tile from the available options. 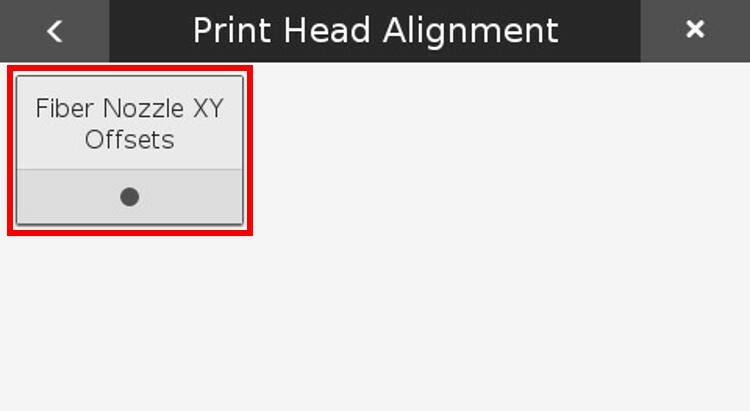 Select the "Print Head Alignment" tile from the available options. 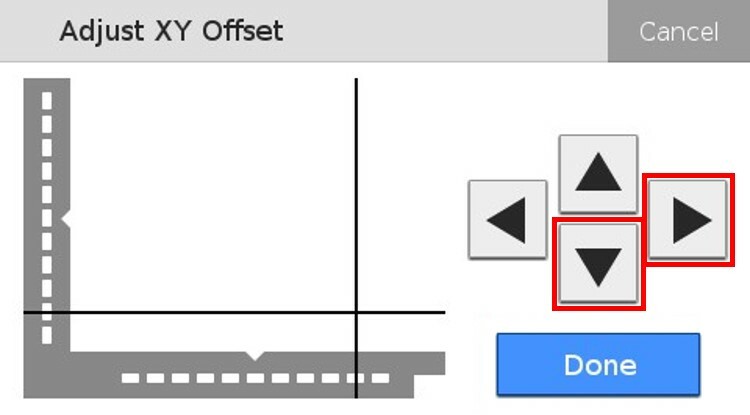 Select the "Fiber Nozzle XY Offsets" tile. 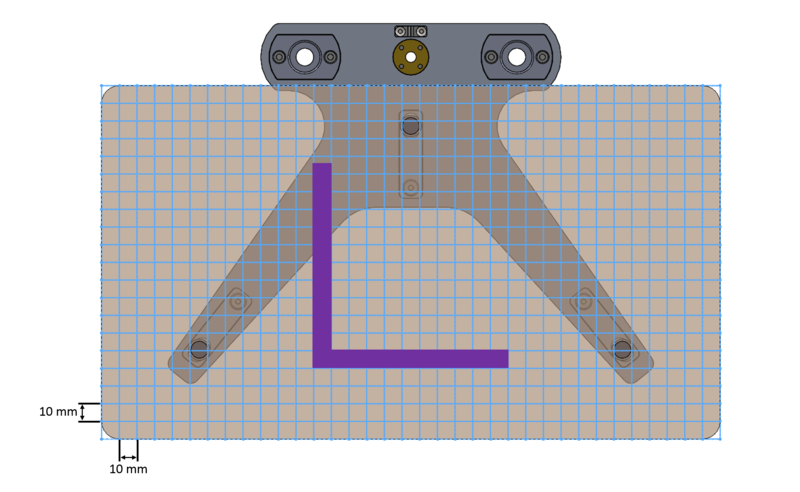 Press the "Print XY Bracket" button. 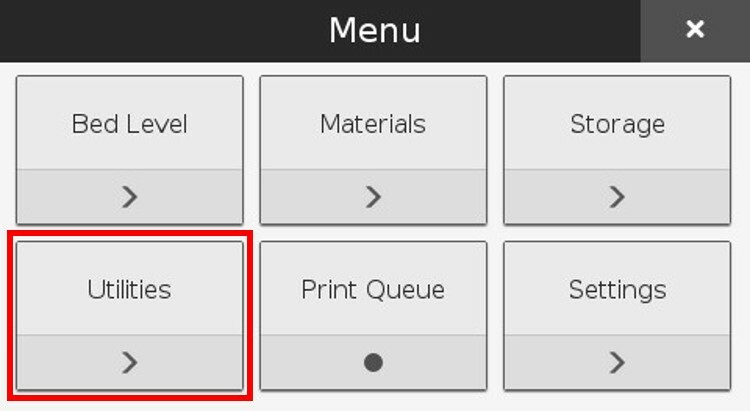 Note: The printer will automatically begin printing the part when the button is pressed. 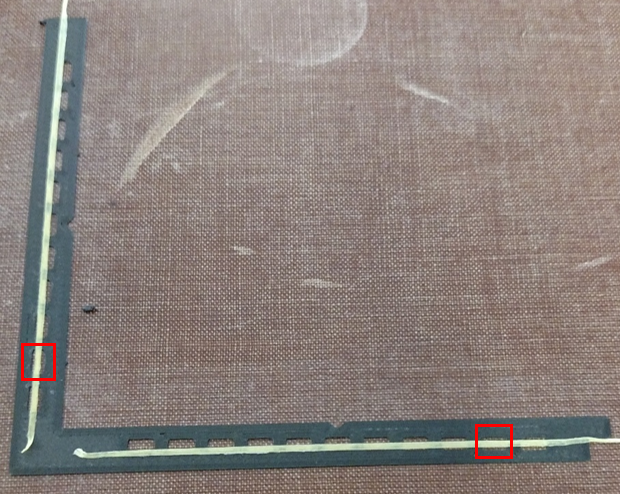 Be sure to have leveled and applied glue to the print bed before pressing the "Print XY Bracket" button. 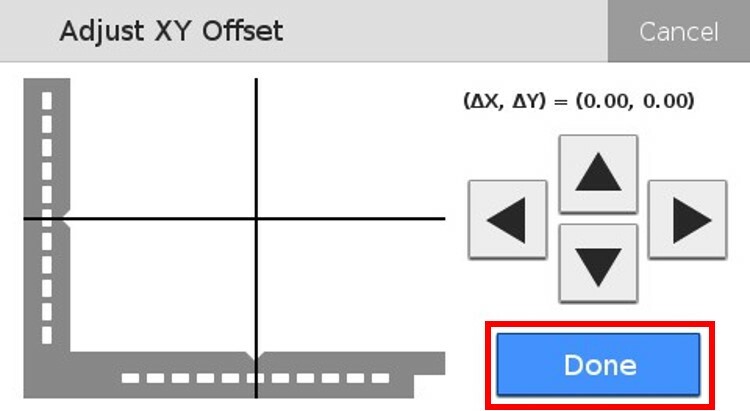 To adjust the XY offset, you will need to know how much the current values are off by. 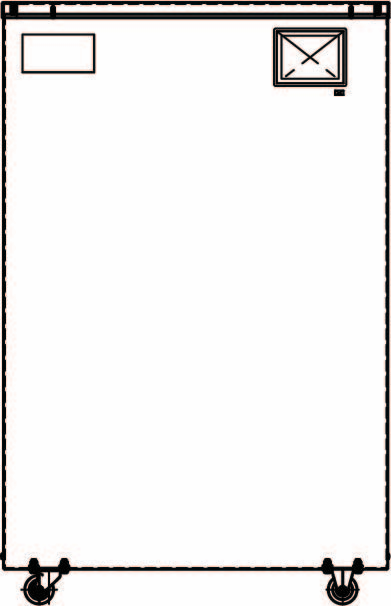 The most accurate way to find this information is to print the test part via the steps above. 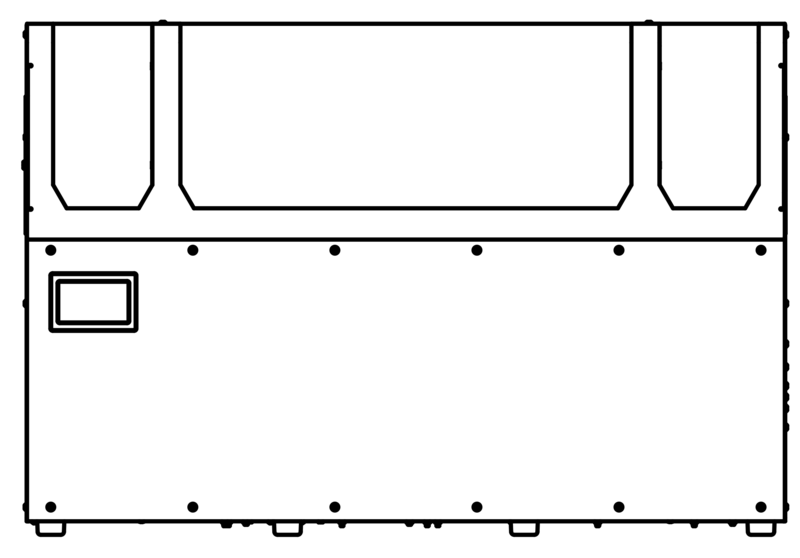 Identify the box on each axis that has fiber passing through its center. In the utility, use the arrow buttons to move the black lines until they are passing through the boxes you identified in the previous step. When you are sure the offsets are correct, press the "Done" button.